Base map of Mathare is complete! We’ve completed the base map of Mathare. It took us 17 days during which 15 mappers (on average each day) would map and edit for an average of 5 hours per day. That accumulates up to 1250 man hours. Of course the exact figure of man hours is much lower mainly due to a limited number of computers and equipment which resulted in many of the mappers just strolling along or observing the creation of the map from afar. We have mechanisms prepared for this type of instance, as we want everybody interested to learn and contribute. One of these mechanisms, which we implemented in the last two weeks of mapping, is rotating venues. Below is the base map where the first map (Map 1) presents only the points collected and the second map (Map 2) presents the types of resources collected (represented by points), such as hospitals, toilets, water points, schools, religious institutions, etc. This is a visual representation of the amount of data which was collected in two days of field work and put into OSM in two days of editing in December 2010. 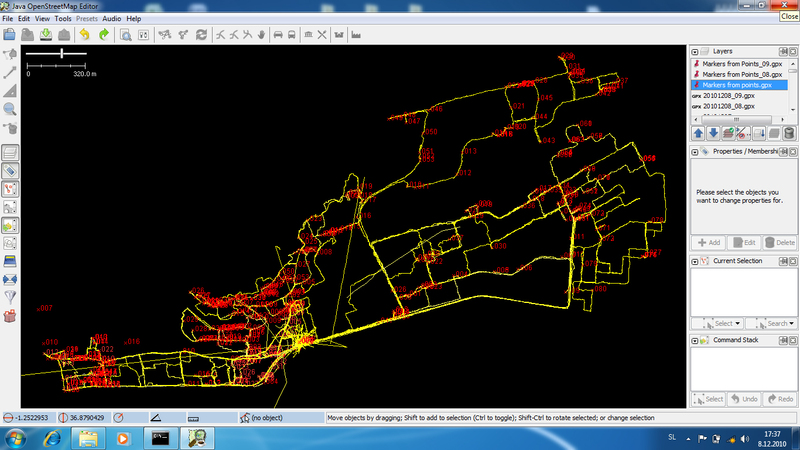 Points and lines were collected using GPS units and village boudaries were digitized over satellite imagery. In order to encourage participation of as many residents of Mathare as possible, we’re continuing with a rotating venues approach. We are trying to get different groups to host us so we can be closer to the communities, where the participants then explain in detail to all interested parties, from elders to children to grandmothers, what they’re doing, why we’re there and why there are some people walking around with strange telephones (GPS units). 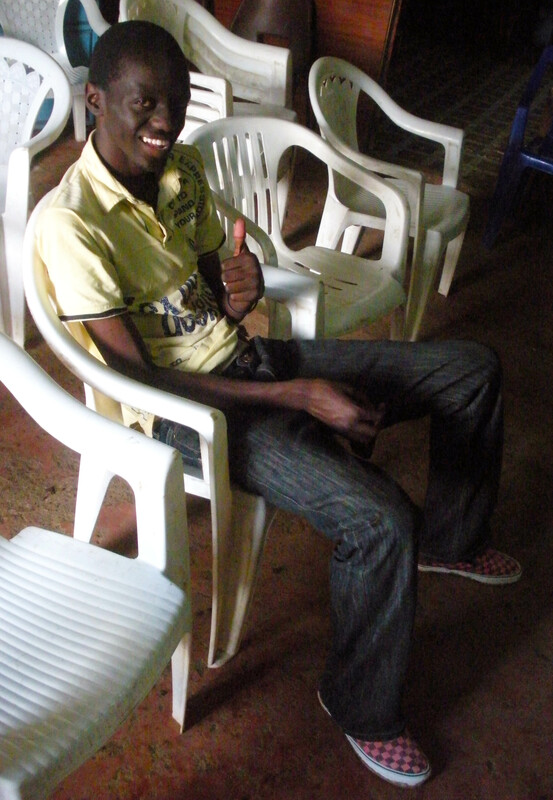 We also want to enable our participants to walk to the trainings and not spend their money on public transportation. Working from different parts of Mathare has another importance: on-site discussion around the biggest needs of the particular community leads to on-site recognition of the particular problem. This then leads to determining what exactly they want on the map, what they would need the map for, and therefore what the focus should be. All this information will be crucial in making good thematic maps which will show the biggest and most immediate needs of the particular area. I still feel afraid every time I step out of the cab with 4 computers and 10 GPS units that someone will knock me over the head with a rock. However, they never let me out of their sight. Even when I go to the toilet someone is standing in front of the door. I feel they are keeping a close eye on us and the programs. They’ve had too many disappointments with projects that failed or didn’t live up to their expectations. We understand these issues and are working hard in Kibera to recognize our mistakes and make sure that we live up to the expectations of our team there (more on this coming soon). Last week (24. Jan – 30. 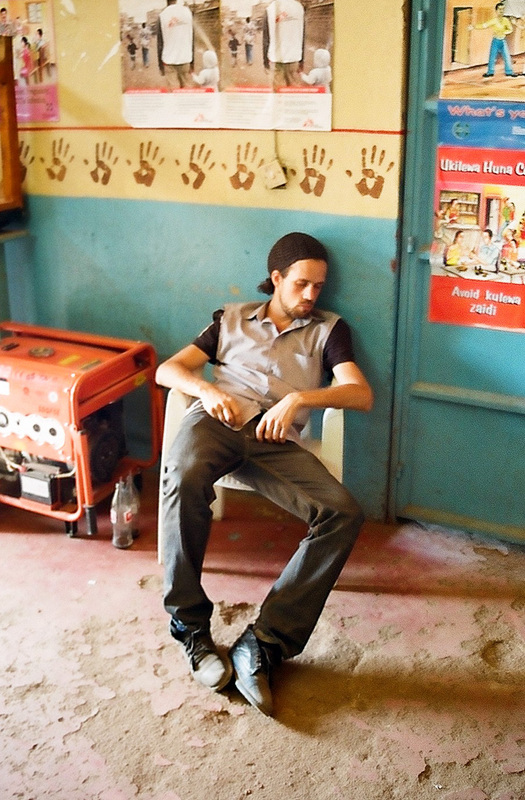 Jan) we worked in 3 locations in Mathare. 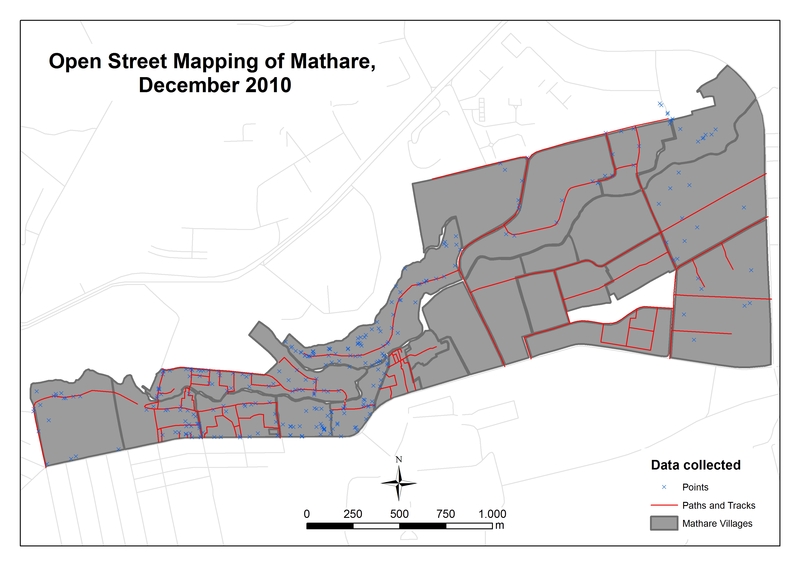 The mappers were focusing on the eastern part of Mathare – Huruma, Kiamaiko, New Mathare and Mathare Nort. 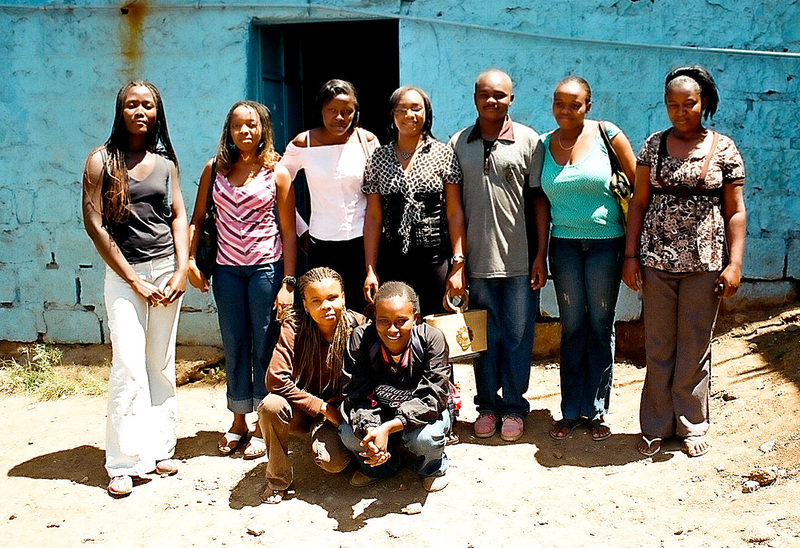 We were hosted by Ngoza Njia – Community Development Center situated between Huruma B and Kiamaiko. 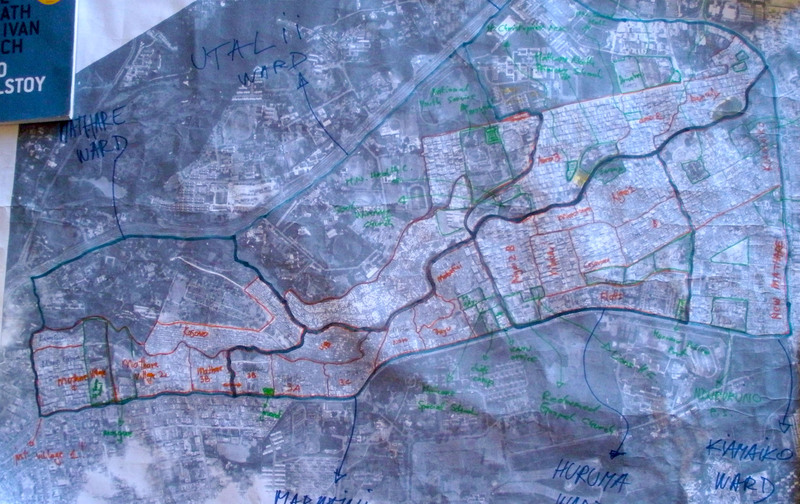 From there the teams spread out and mapped the hell out of Huruma. We collected approximately 200 points in two hours of field work. On Thursday we were hosted by Vision Youth Group in Huruma – Ngei1 area, where we edited the data collected on the previous day. On Friday we digitized over satellite imagery as a part of learning different techniques in mapping. We were hosted by Community Transformers in Mathare No10. I’m particulerly proud of Huruma girls (and one man) who digitized a big chunk of Huruma (Kaimaiko area) and were listening to every advice with their full attention. Video had some technical problems when trying to edit videos in Mathare No1o at Community Transformers on Wednesday and Thursday. But with the passion and help from a videographer Nathaniel Canuel they will make it next week. 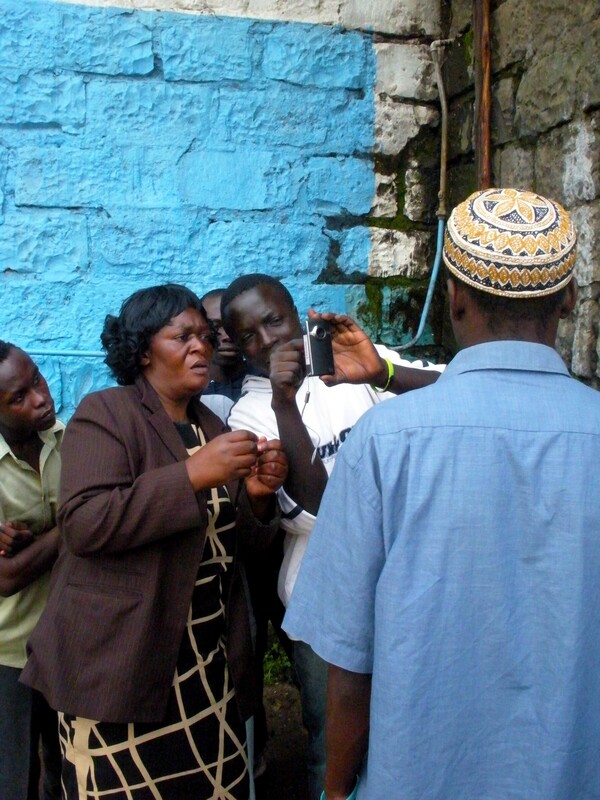 And there is exiting news for the Voice of Mathare: We’re getting there! I should finish by saying: “No I’m not afraid. As long as Mathare folks know that this is their program nothing will happen to me when I’m roaming through the streets with all that equipment” But just in case, they are watching closely, I can feel it! 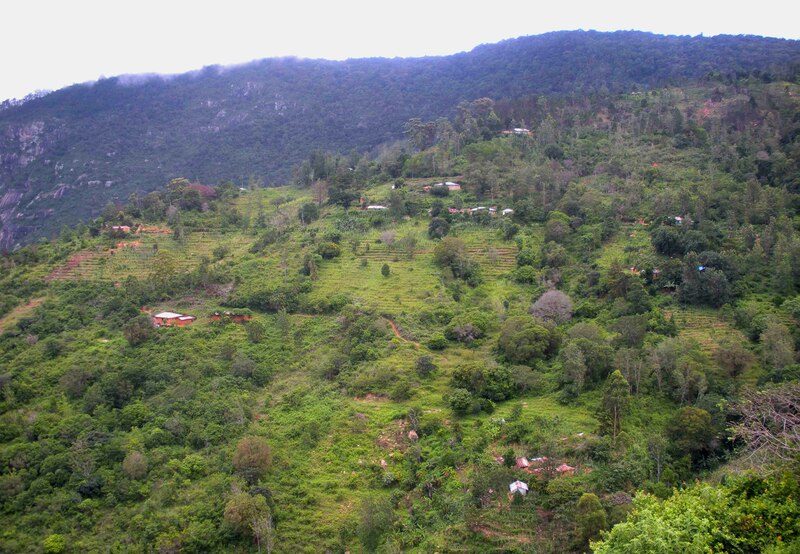 Wongonyi is a sub location, a group of remote villages, situated in Taita Hills in the coastal province of Kenya. Without electricity and very bad connections to the rest of the country, they show us that human spirit conquers all obstacles. These are their stories: mlimayawongonyi – The Hills of Wongonyi. It’s been three weeks since the New Year when everybody in Kenya (at least who can afford) travels to shambaland. We’ve been doing trainings for the past two weeks – altogether 6 days of mapping and 2 days of video. The map needed (and still does) more information in order to become a good base map for further thematic mapping which will eventually fill in the remaining empty spots (remember: Rome wasn’t built in a day and the map won’t be either – it’ll take 4 months). Here’s the map by the way. Our main goal is not the map itself! 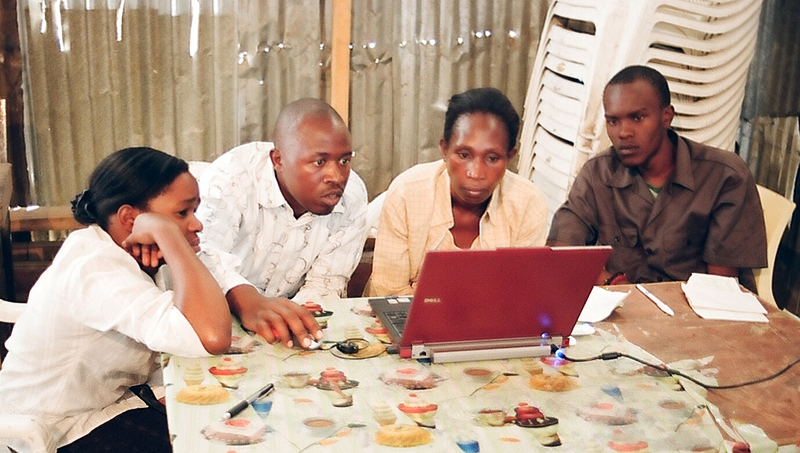 It’s the empowered youths and community members equipped with knowledge and data about their community. As Simon said for Al Jazeera: ”By knowing what we have we will be in a position to engage our government!” So, in order to better control and supervise the masses of the would-be mappers and reporters from Mathare and our trainers-trainees from Kibera, we divided Mathare into 3 parts. West is villages 1, 2, 3A, 3B, Kosovo and 4B, Central is Mathare No 10, 3C, Thayu, Mabatini, Mashimoni and Mathare 4A, and East is Huruma with all sub entities, New Mathare, Kiamaiko and Mathare North. Yea, it’s a big place! 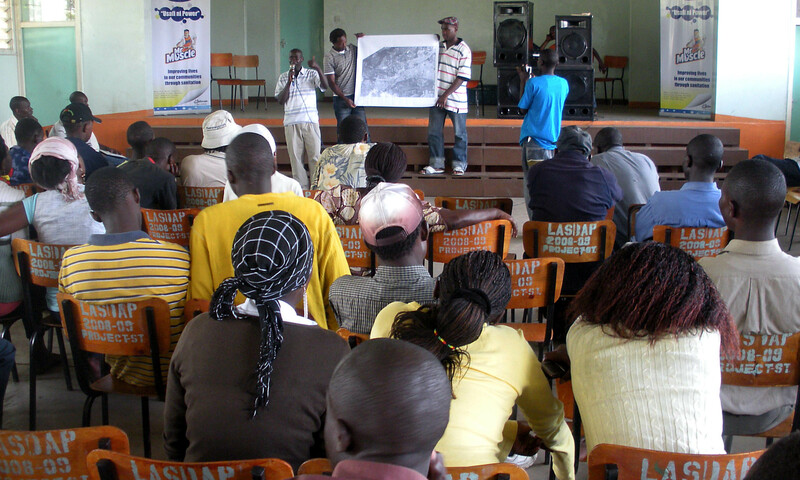 The next thing we did was listen to the ever-present, ever-wise voice of the community – Simon Kokoyo (who, in order to amplify the community’s voices, started a blog which is written by Mathare residents called www.matharevalley.wordpress.com) – who said we should rotate or move our venues all over Mathare in order to get the community’s support and make it easier for people to walk to the trainings. 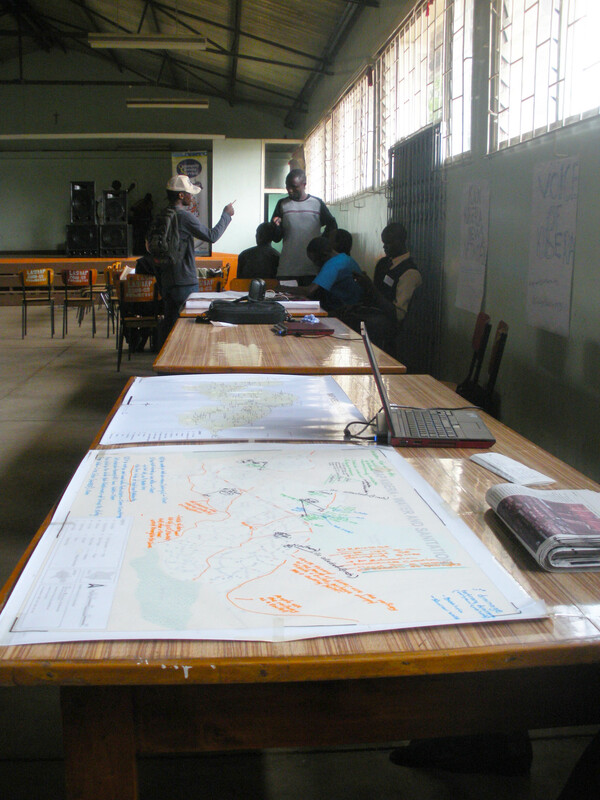 The second week of trainings we held mapping trainings at Mathare Environmental Conservation Youth Group/Staken at Mlango Kubwa in village 1 which is run by another well known and respected community member Kaka and at Community Transformers. 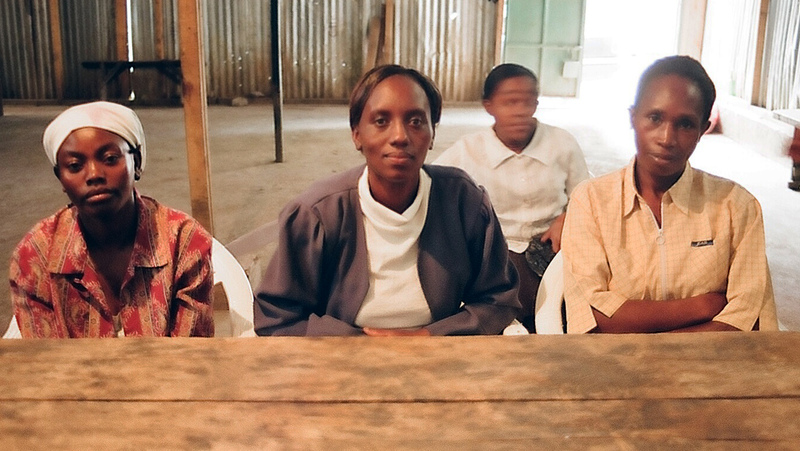 Video trainings were held one day at Community Transformers and one day out in the field. Next week (24. Jan – 30.Jan) they will talk about which footage was good and which was bad and the folks will learn how to edit the data selected. Can’t wait! 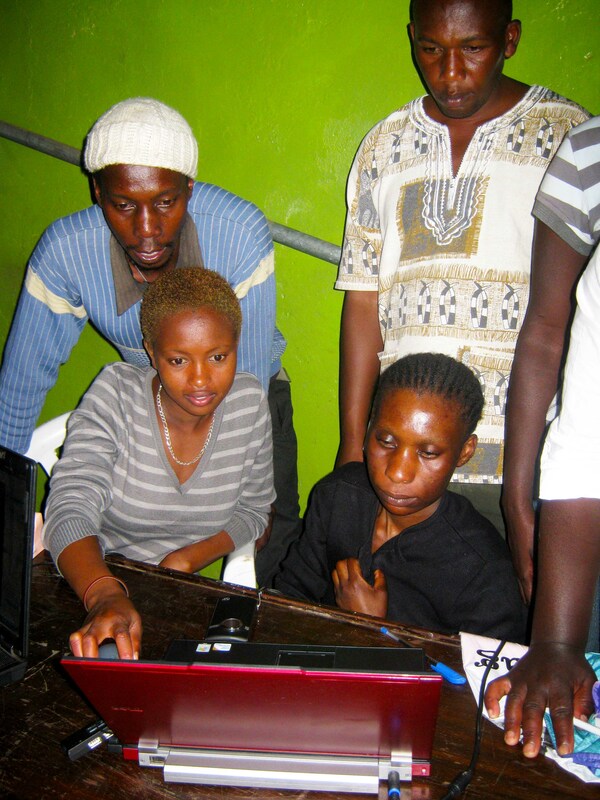 Our third program Voice of Mathare is still under construction (web stuff). Exciting times in Mathare! 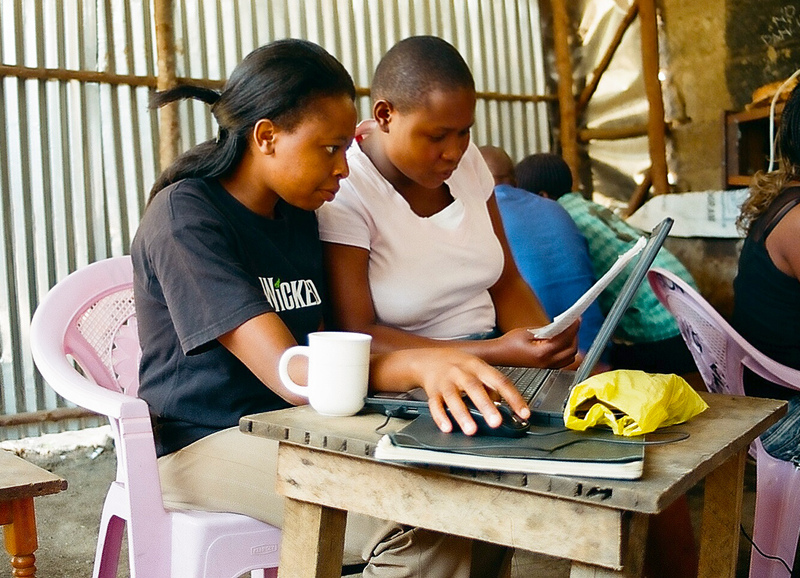 There’ll be a storm of activity in Kibera soon, so stay tuned! 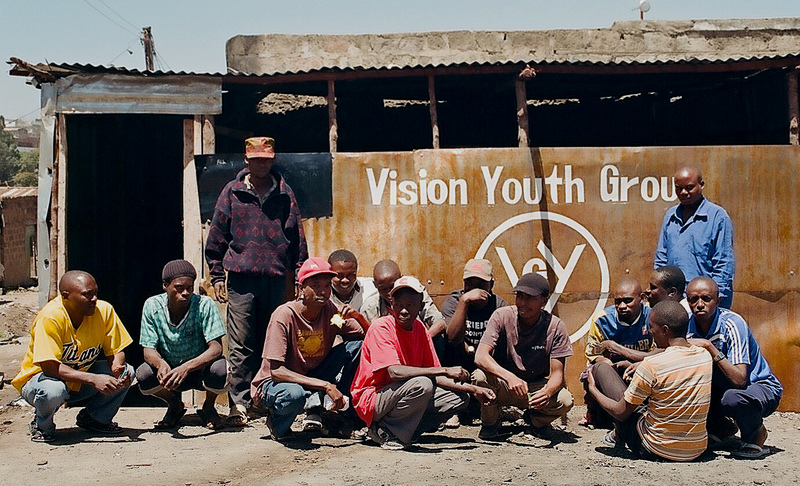 Here’s an incredible blog about Mathare, a slum in Nairobi, Kenya, written by its residents. 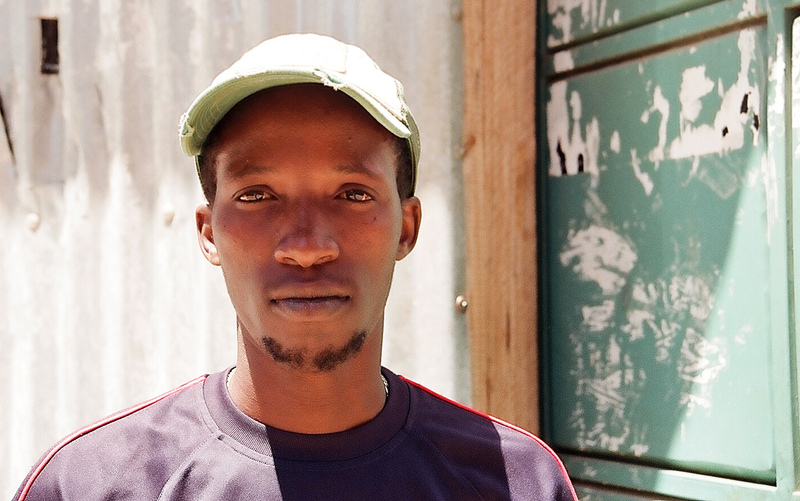 Thanks to Simon Kokoyo who has been diligent in getting the community members to write up their stories – often on a piece of paper – we can read about everyday life experiences of people in one of Africas larges slums: Mathare. 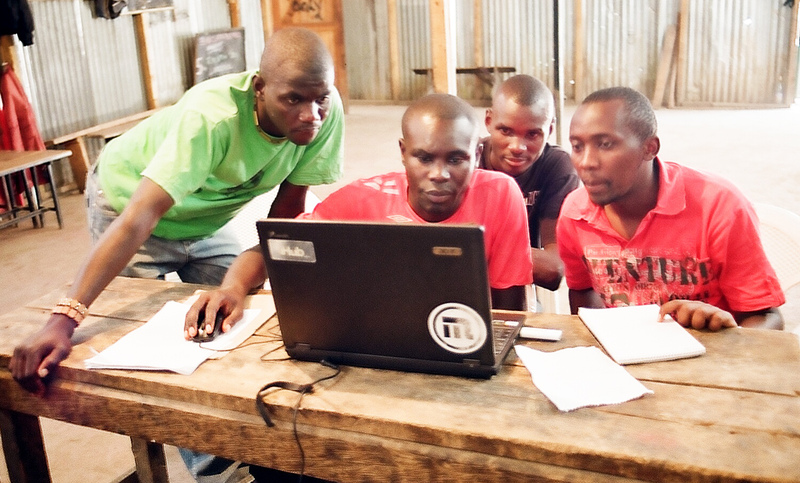 The second week of data collection and trainings in mapping and video editing techniques is behind us. We decided we’ll hold map editing separately from video editing because of the overwhelmingly large numbers of people who showed interest in being trained. The data editing in OSM session was held on Tuesday, 14.12.2010. Turnout was good as always, although some people from one or two villages did not turn up (I guess they’ll do the work on some other occasion). We only edited points as it would take too much time if we tried to edit the tracks as well. The tracks will be edited separately. 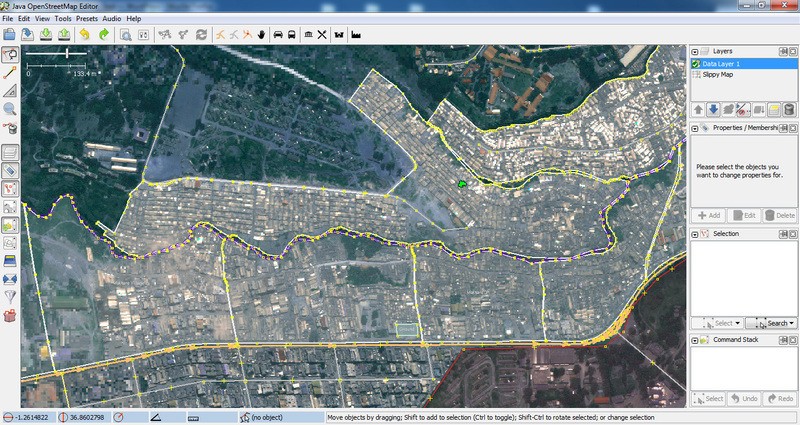 All was good in the end, some of Mathare got mapped and hopefully some people got excited. Video and voice trainings were on Wednesday, 15.12.2010. Around 15 people showed up for video in the morning session. No one came for the afternoon session (probably because everybody came in the morning). Kibera News Network guys did a good training and managed to produce two short video reports about A Bicycle Repair Man and Mathare Sewage. Nobody showed up for voice (probably because people weren’t directly called and most of them have been to the mapping and video trainings). So Sande (second from top to bottom) from Voice of Kibera and I talked about merging mapping and voice trainings. First the trainees would receive training in GPS data collection and editing and after every session they would receive Voice training as well – since it’s a kind of mapping anyway, that way we’ll recruit more members to Voice. The first two weeks were sort of a sample of what we’re offering. The real trainings and work will start in the year of 2011. We’ll have to figure out how to deal with large numbers. I sense they might shrink with time, but we’ll see. For you to enjoy, here’s the move edited by Joe from Kibera News Network and Jeff Mohammed from Mathare about Kibera teams training Mathare: Map Kibera presents Map Mathare. See you in the New Year. Exciting things are coming up! Or as Jeff would say: Everything is cool, buda! 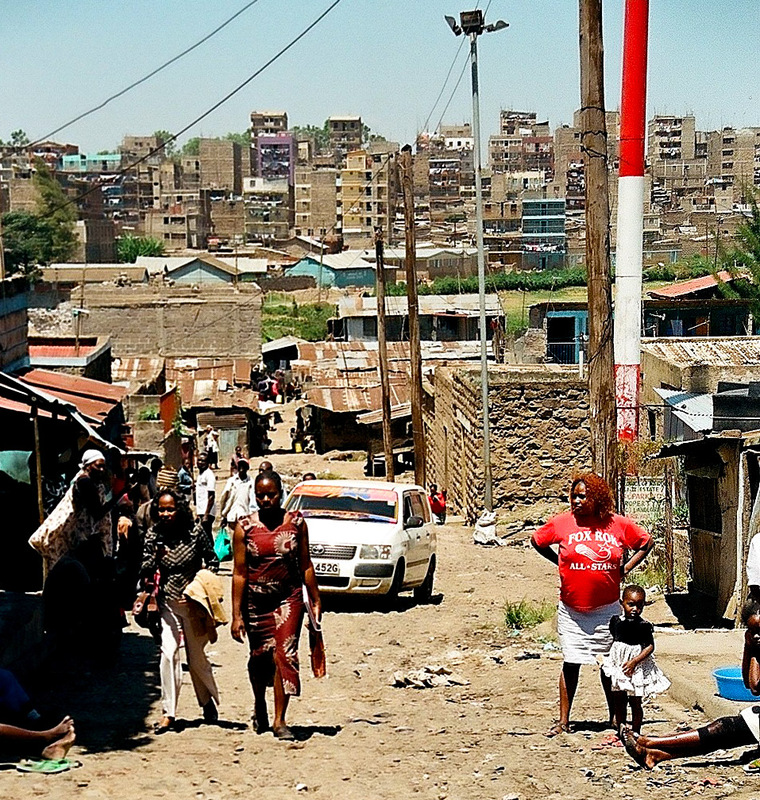 The biggest slums in Nairobi (like Kibera and Mathare) usually consist of different villages. 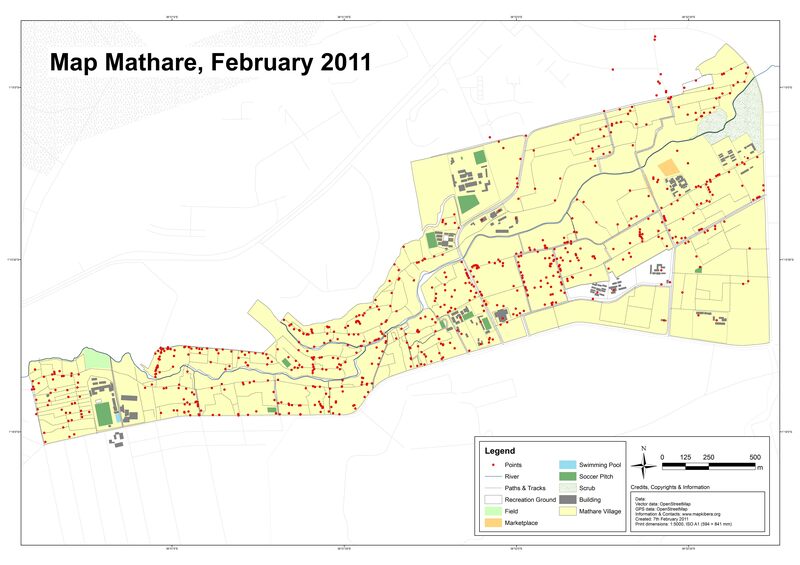 That is why before we started working in Mathare we had to determine where these villages are located. Determining the area. By locating the villages of the slum we outlined the area of Mathare. Each village needs to be represented. A person coming from a certain area knows that area best. And the last but not least – security. There is no way that a person, specially coming from outside, can freely walk the streets of Mathare. 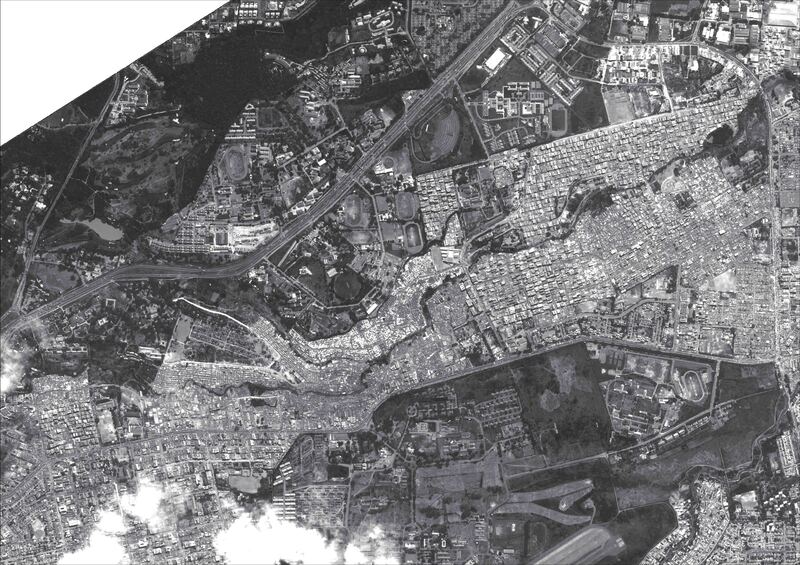 For the purpose of determining the village boundaries we printed out the satellite imagery of Mathare, which was donated to us by the American Association for the Advancement of Science. After that I gave the satellite imagery to Simon Kokoyo form COOPI and Reality Tested Youth Program. He walked around the slum and talked to elders, who helped him determine the village boundaries of the slum by drawing them on the printed satellite imagery. 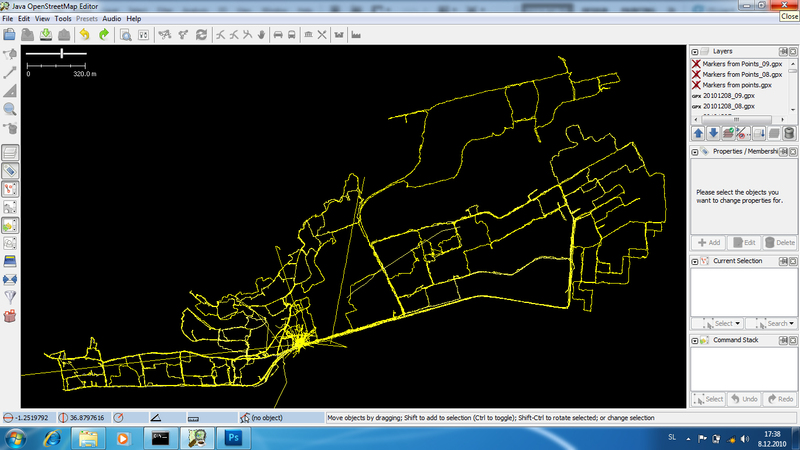 I uploaded the satellite imagery into JOSM and digitized the boundaries according to the drawn image.